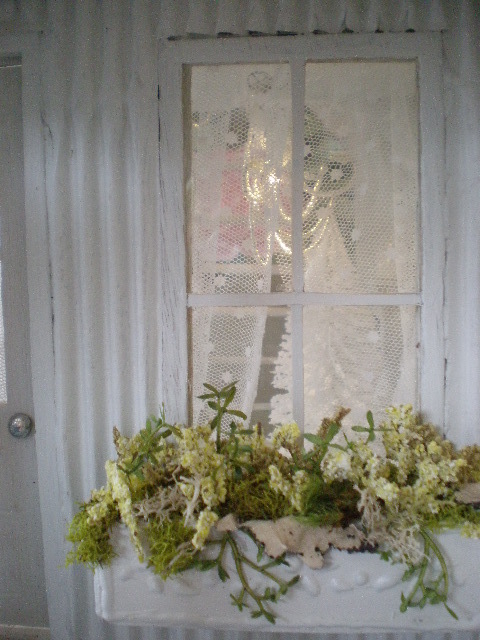 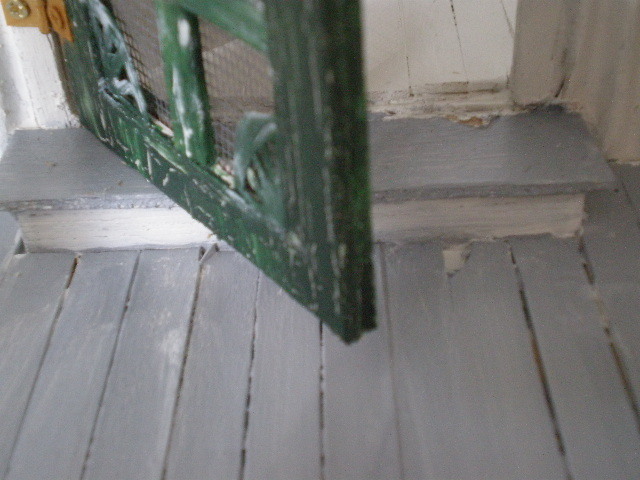 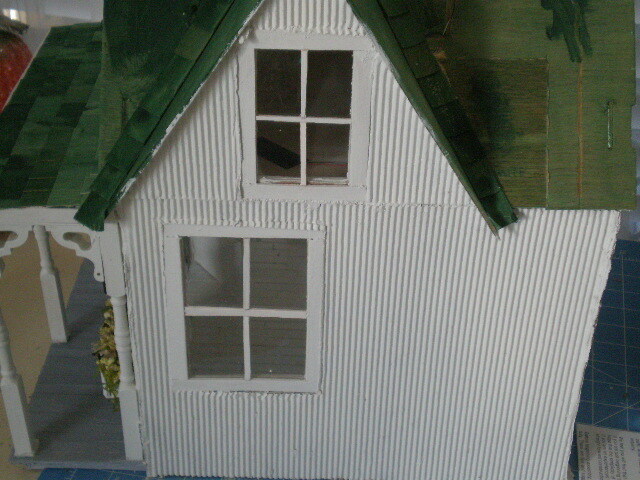 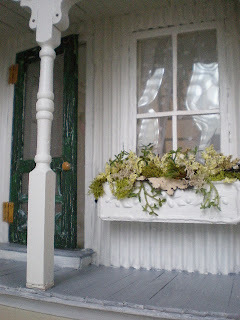 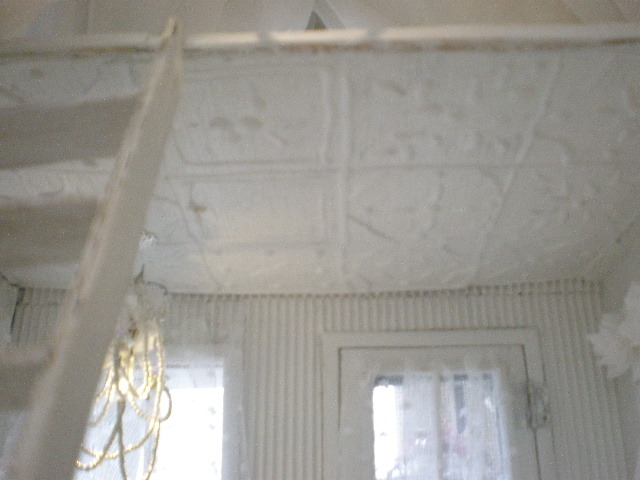 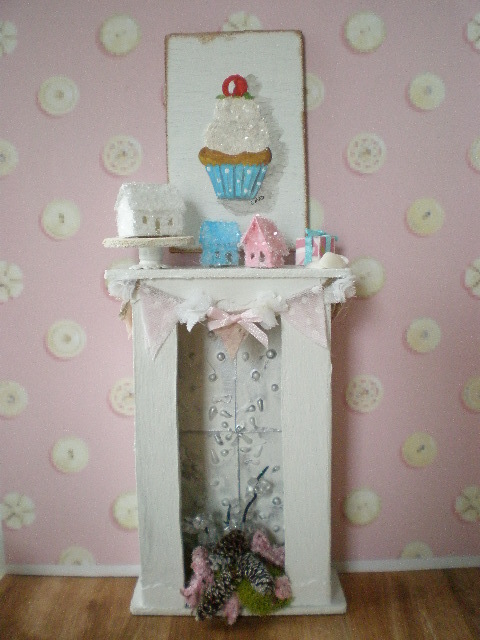 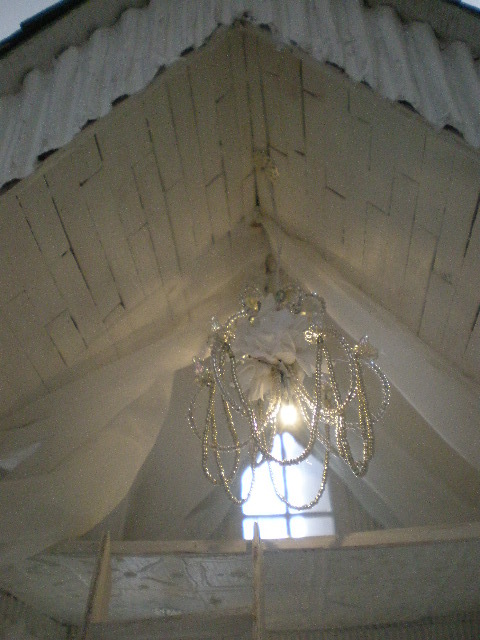 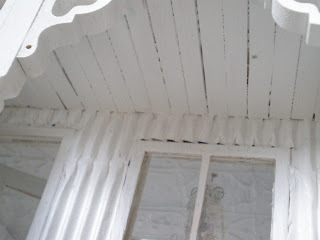 The shabby chic mantel has 4 "tin" tiles inside. 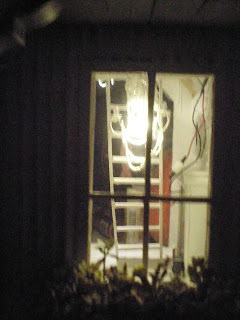 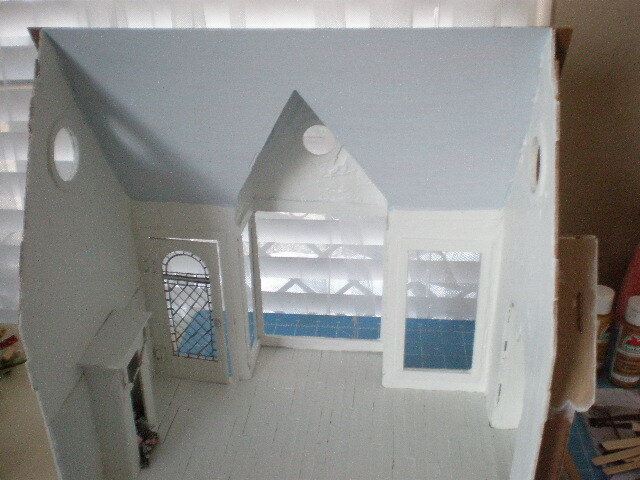 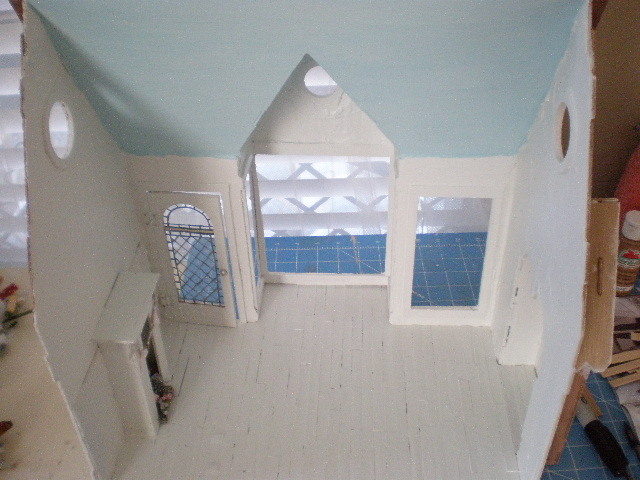 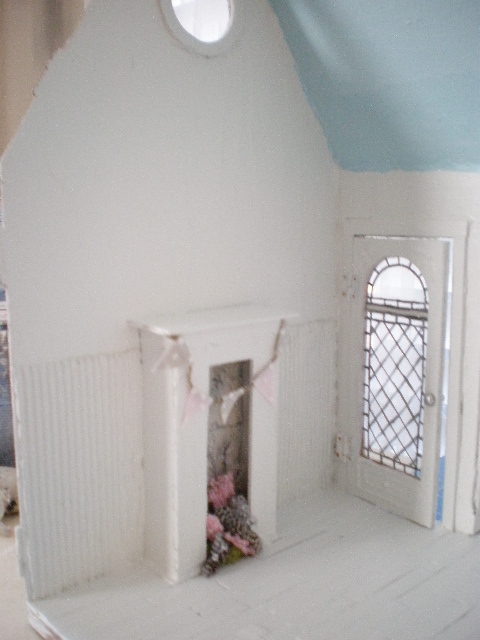 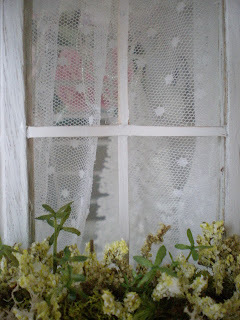 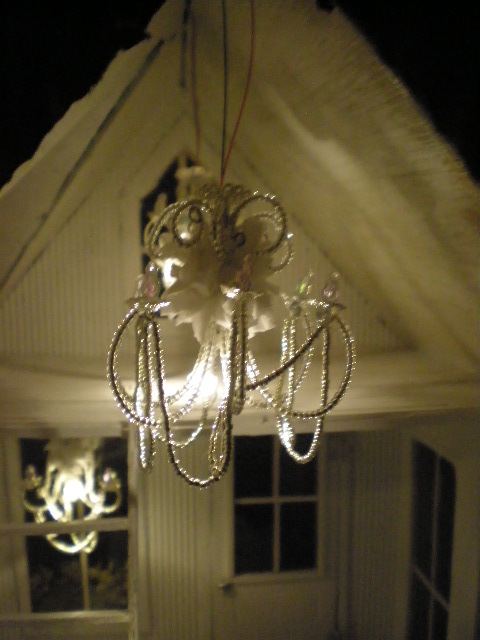 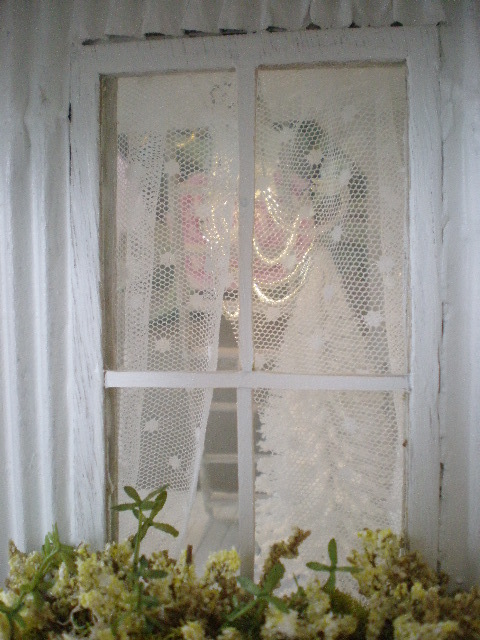 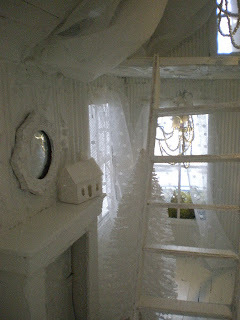 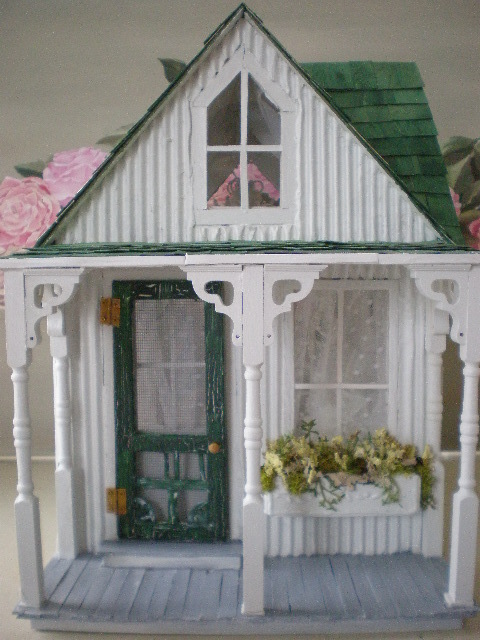 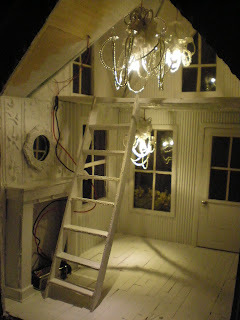 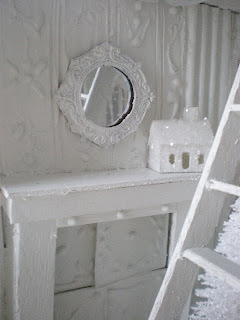 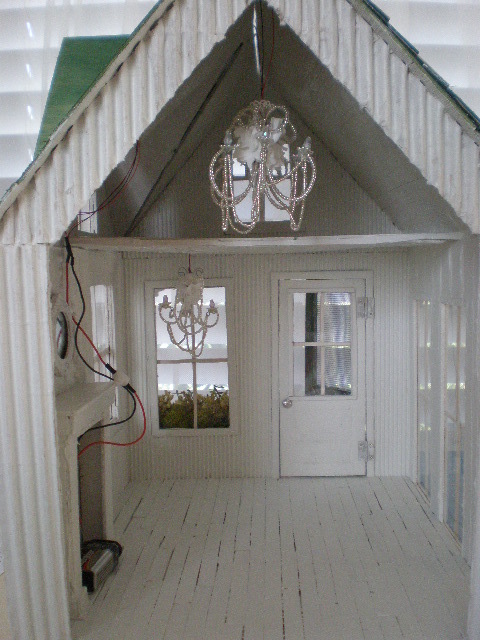 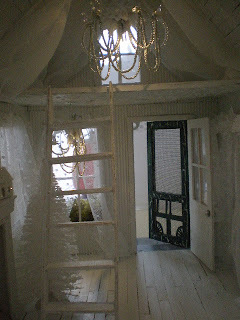 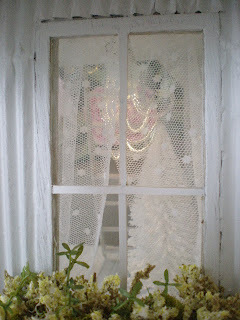 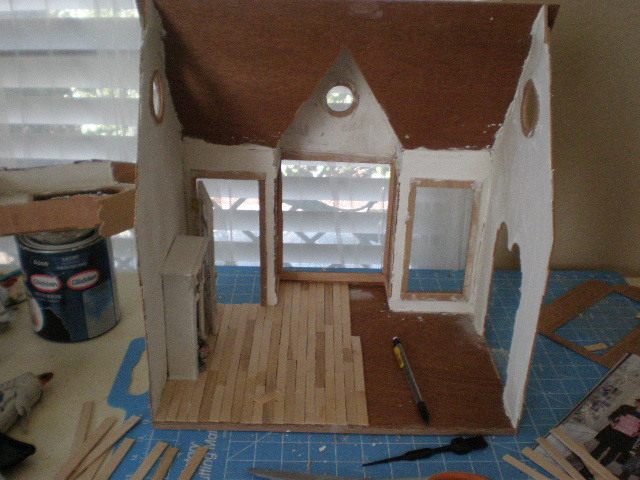 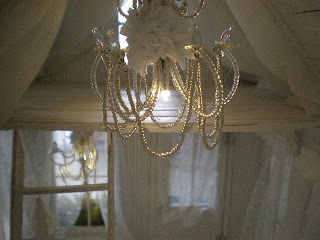 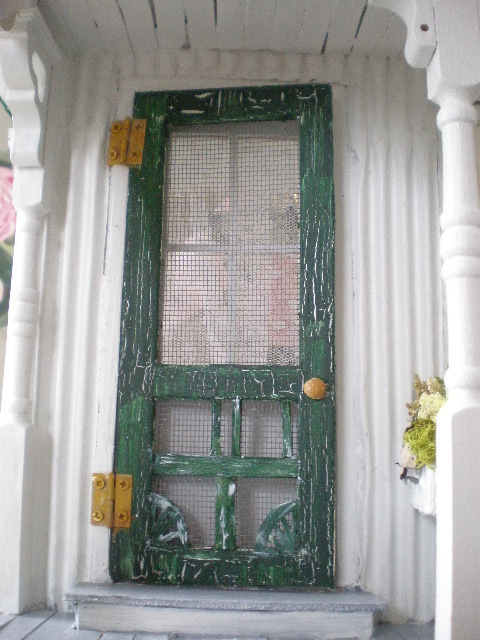 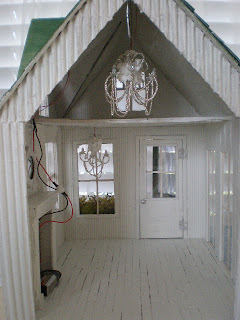 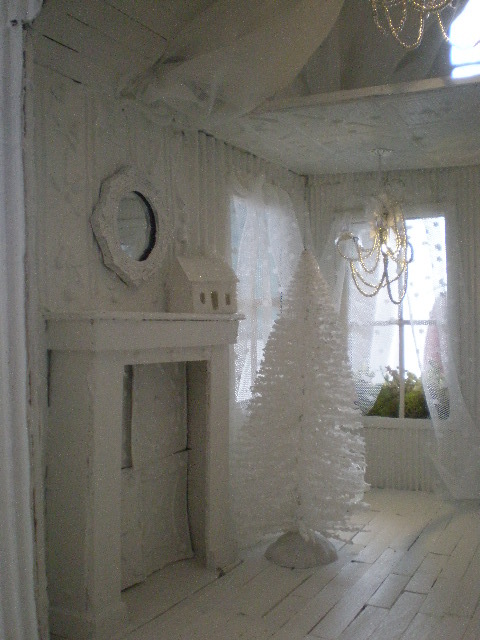 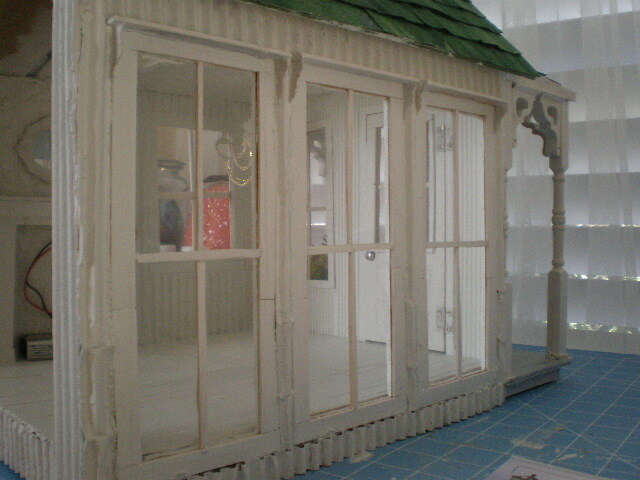 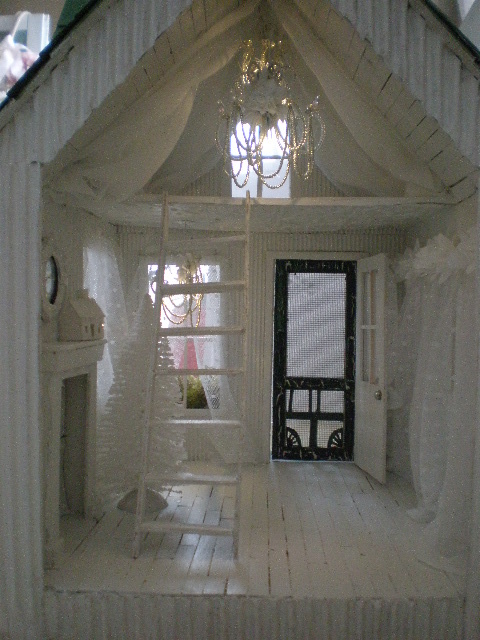 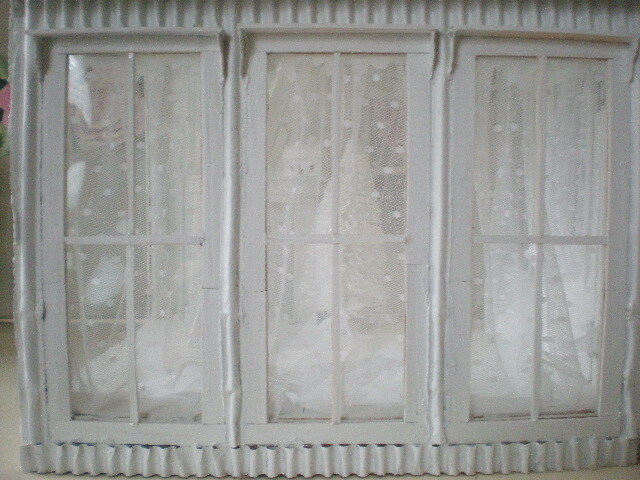 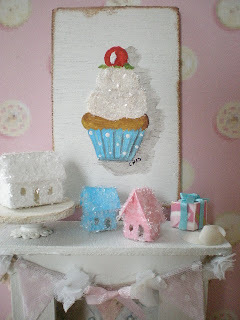 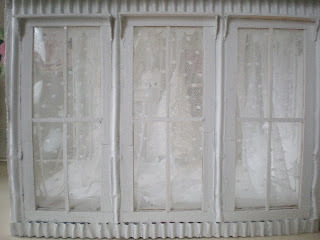 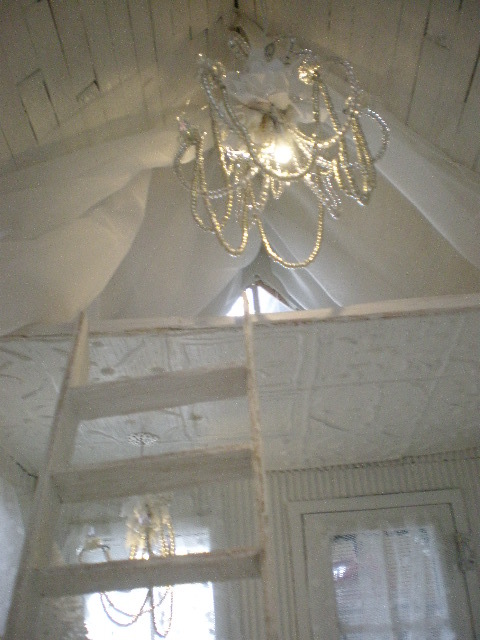 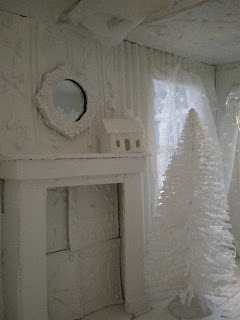 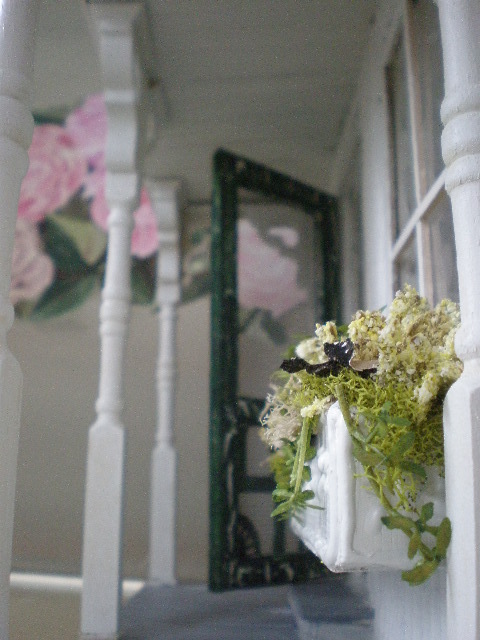 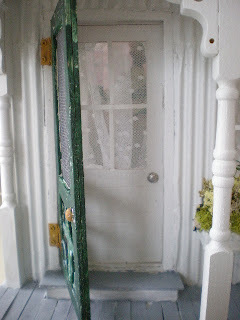 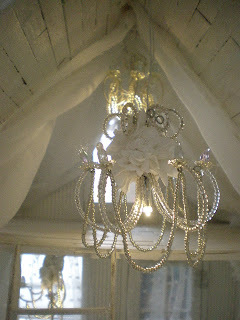 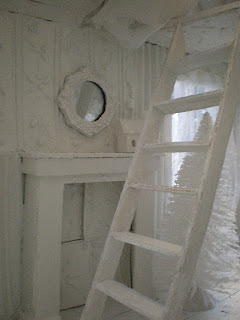 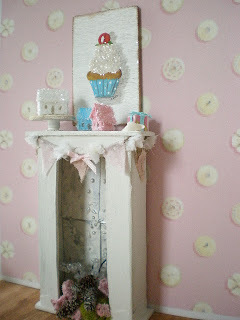 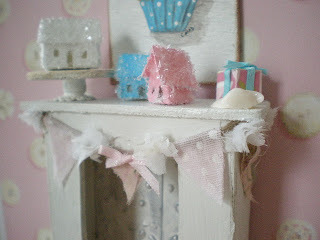 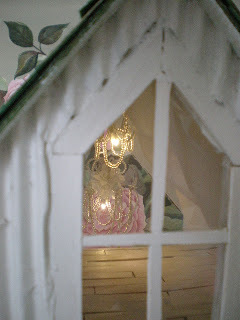 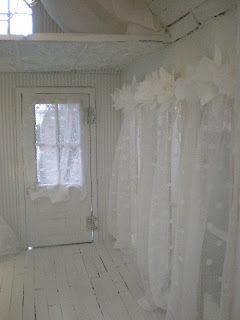 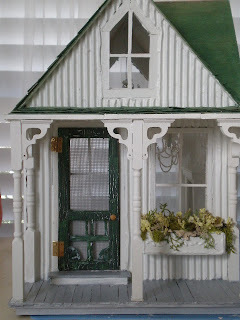 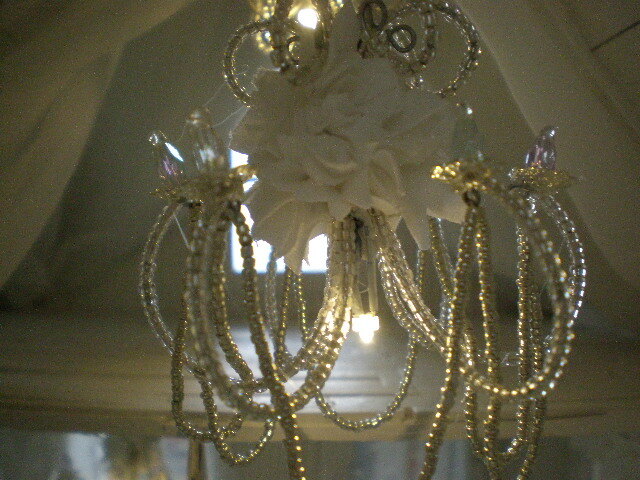 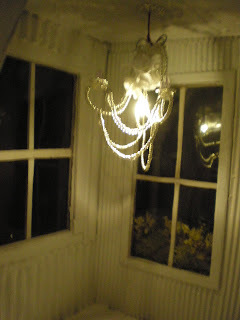 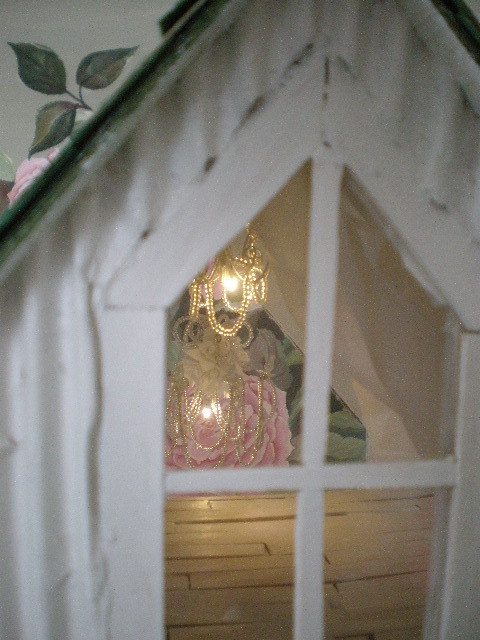 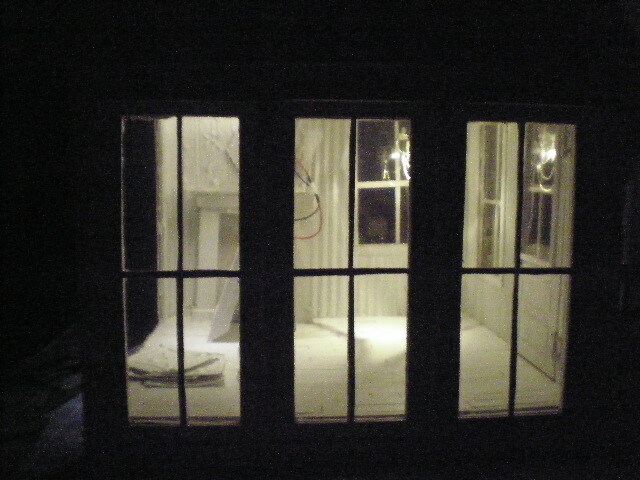 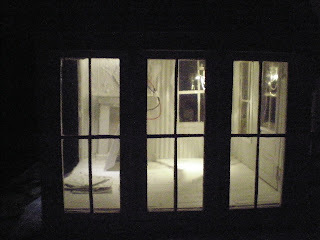 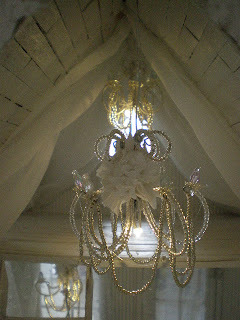 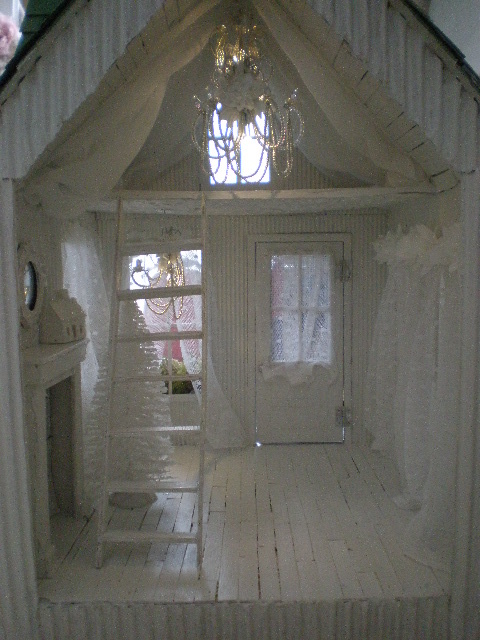 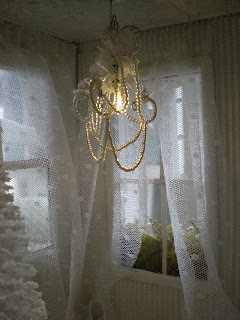 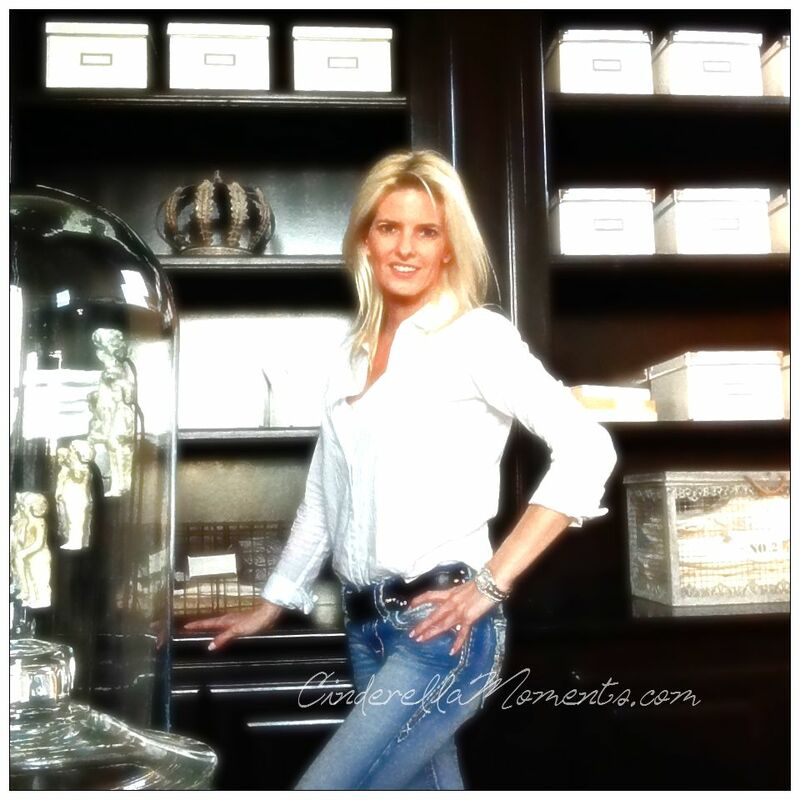 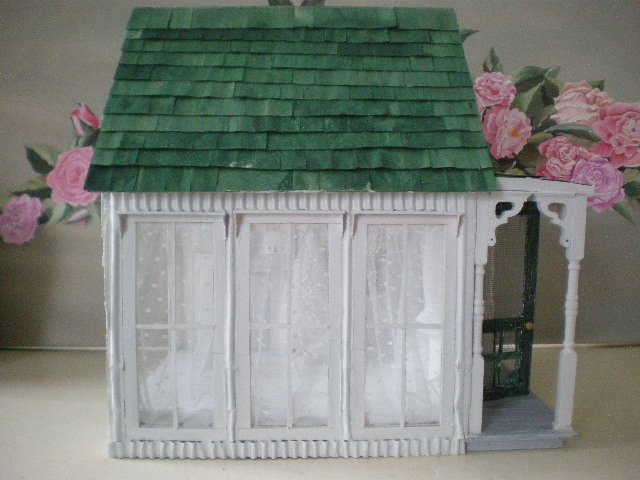 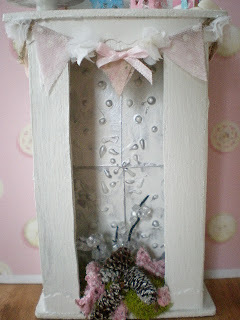 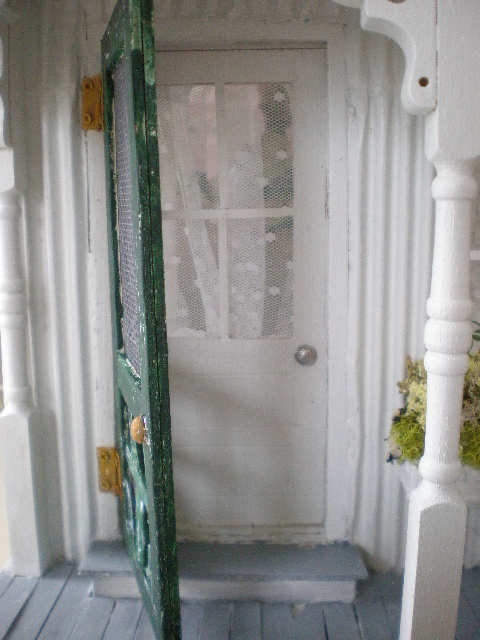 On top of the mantel, I glued the glittered house and a shabby mirror just like the real studio. 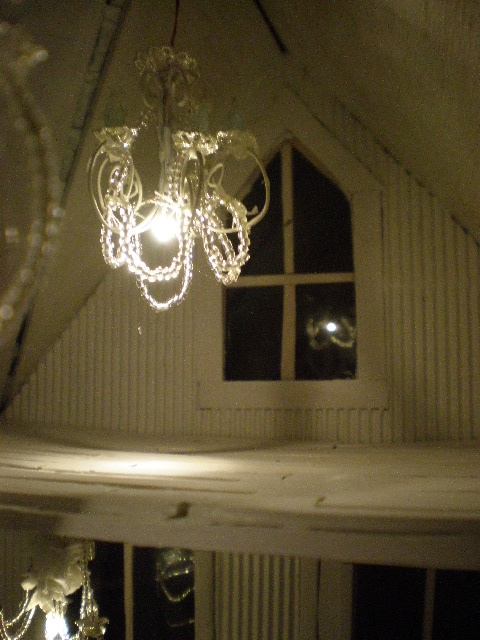 I love this studio. 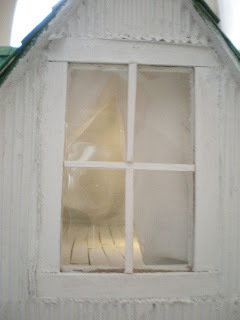 And I know all of you share my obsession with Sandy Foster's perfectly perfect little cabin. 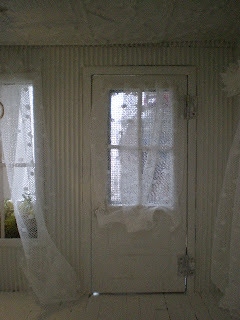 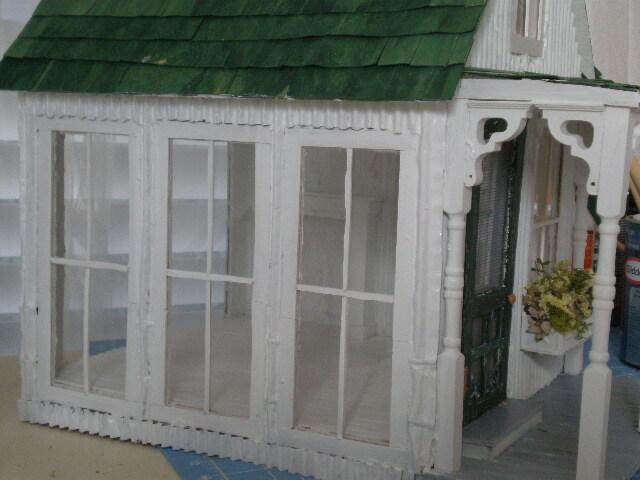 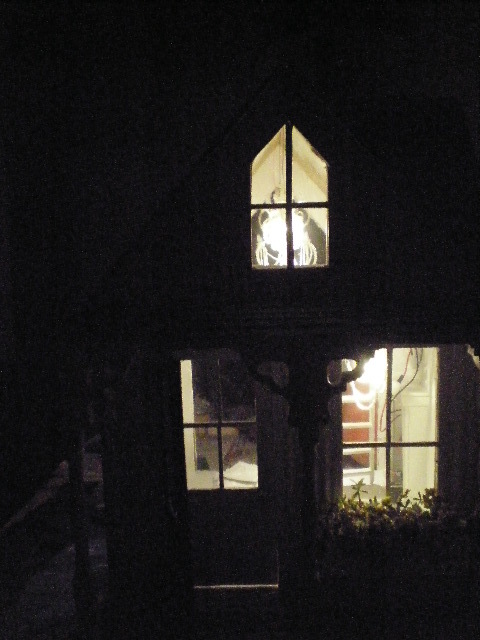 Here's where you can see the real thing: My Shabby Streamside Studio. 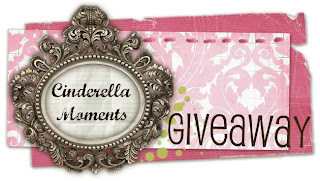 Thanks Sandy for allowing me to make mini copies of your gorgeous hideaway! 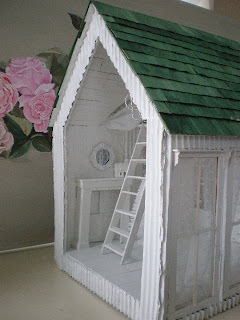 You've waited long enough Cheryl! I'm sending it your way tomorrow. Thanks so much! !